Great content is all about coming up with great answers. And the questions? They are the search queries from the potential customers out there who are looking for you. The problem is that, as they type or recite that query, they probably don’t know who you are. You Can Be Found is more than just the name of our business. It is a promise that you have a better chance than your competition of being found by those searching for your product or service. Website copy has the reputation of being repetitious and redundant, relying on various formulas that emphasize oft-queried words and phrases, with the end result being subpar writing. How many times, and on how many of your pages, must you repeat certain keywords, supposedly relevant to your business, to fulfill the demands of effective content? 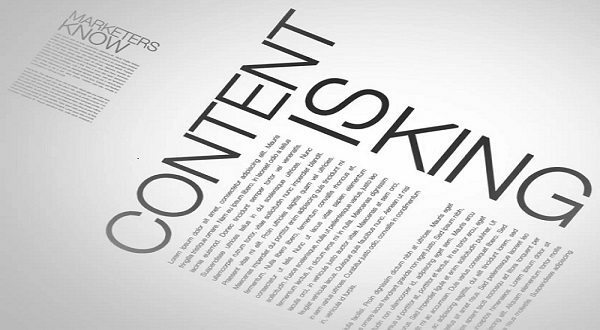 How long will the visitor to your site keep reading if the content fails to sustain his or her interest and usefulness? The times they are changing in this critical sphere of search engine marketing. Keywords are still important, of course, but the emphasis has shifted toward being accurate and thorough. That’s thorough while at the same time being digestible. Your content needs to all be there but clear enough for people to only read the part they are interested in. Now with the increasing importance of “freshness” at both an overall site level and at an individual page level, new and refreshed content is more important than ever. Start a plan to keep your content fresh, relevant, and aimed at search. Google, in fact, is trying to provide searchers with the best answers from reputable and popular sites. 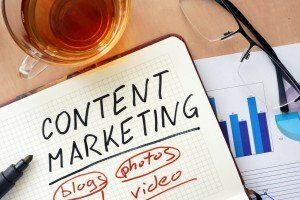 Content marketing seems to be gaining increasing influence in the development of effective business websites, with typical definitions accenting “relevant” and “valuable” content that appeals to a niche audience looking for answers. Although search engines still reward content supported by essential algorithms, which continue to be refined, you can’t lose if you keep it compelling, informative, useful and, yes, entertaining. The judicious—not repetitious— targeting of keywords still ups the SEO value of the content. The “dwell time,” or how often a searcher stays on a site after clicking on is a factor in Google rankings. You should have a page on your site for any concept people may search to find you. That may be answer questions or supplying information about how your business or industry works. Blogging is a great way to address these long tail and very specific queries and needs from potential customers. If a topic or service is extremely important, it should probably be added to your core site pages. We can help with all of this from a consulting perspective or by supplying a writer to put all of this into words when you just want to focus on your work. Give us a call if you need help. You Can Be Found offers advice on content marketing and provides copywriting services when requested.